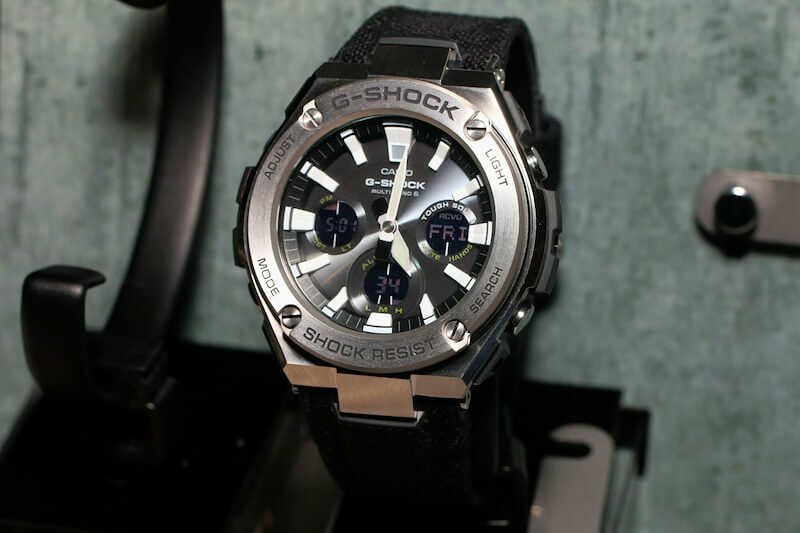 Another G-Shock G-STEEL series is coming to Japan in May 2018. 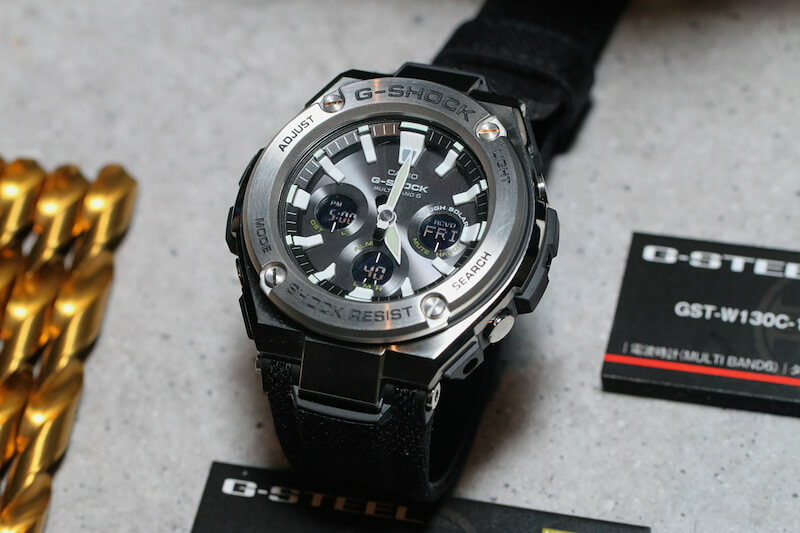 The new G-STEEL GST-W130 models have a hybrid band combining the Tough Leather synthetic band (first seen in other G-STEEL models) with Cordura nylon fabric. 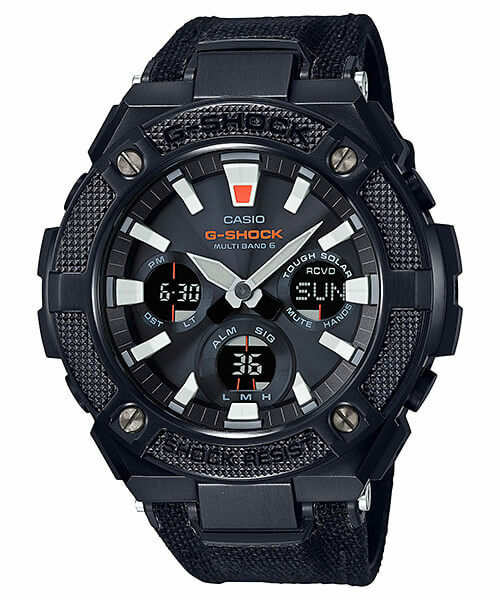 These models also have Tough Solar power and Multi-Band 6 radio timekeeping. Another distinguishing feature, and an upgrade over the GST-W110 and GST-W310 series, is the full auto Neon Illuminator light which uses an UV-A (a.k.a. blacklight) LED to illuminate the hands and index vividly in the dark. There is also a Super Illuminator LED light for the LCD displays. 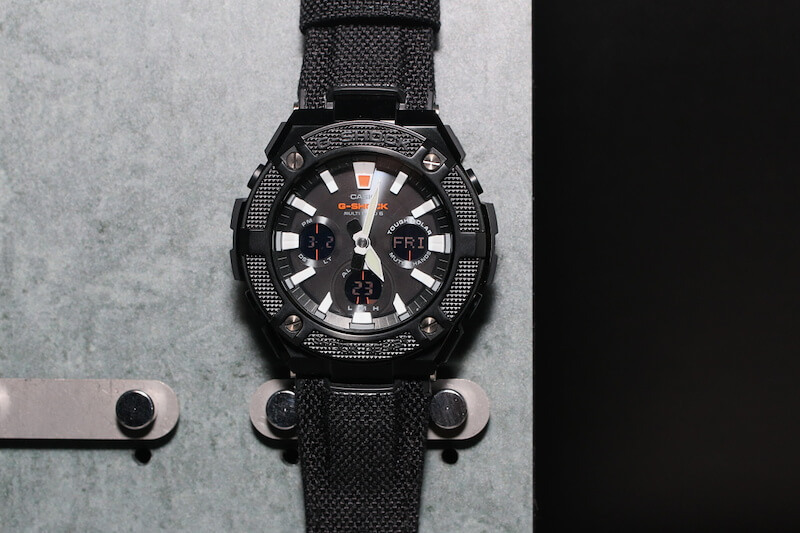 The GST-W130BC models have a black IP treatment on the stainless steel body along with a resin bezel with a grip pattern. 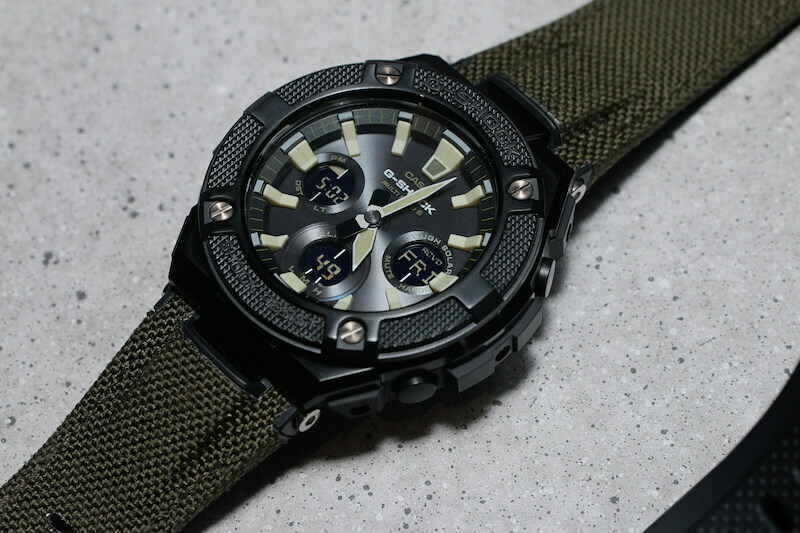 This textured bezel gives the watch the look and feel of rugged outdoor gear. 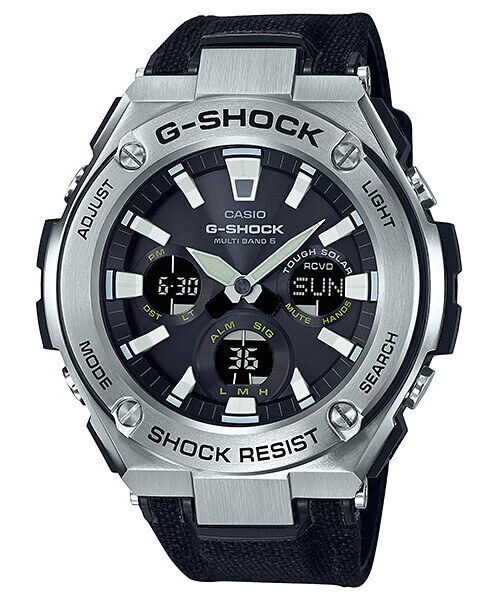 The unique design combined with the hybrid band gives the watch a strong tactical and military feeling. The GST-W130BC-1AJF has an orange logo and accents with a black band and the GST-W130BC-1A3JF has a white logo and accents with a green band. List price is ¥46,000 JPY each. 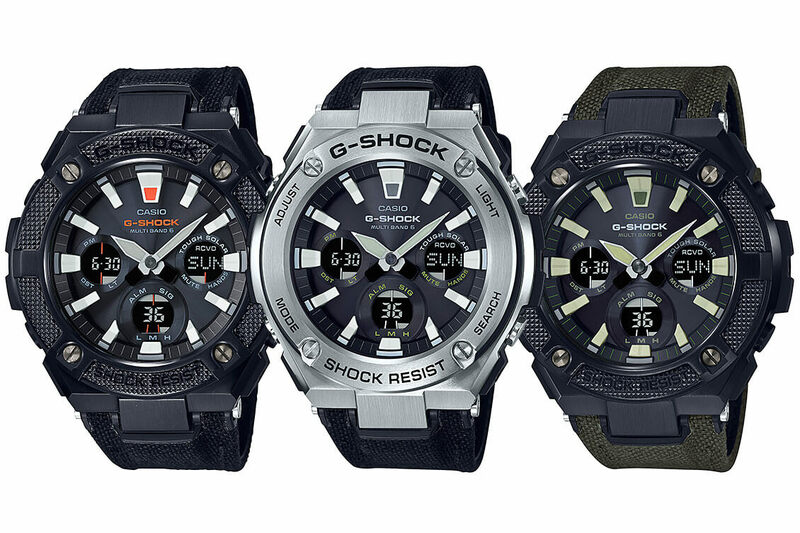 The GST-W130C-1AJF and mid-size GST-W330C-1AJF have a silver body and stainless steel bezel along with a black hybrid band. List price is ¥41,000 JPY each. 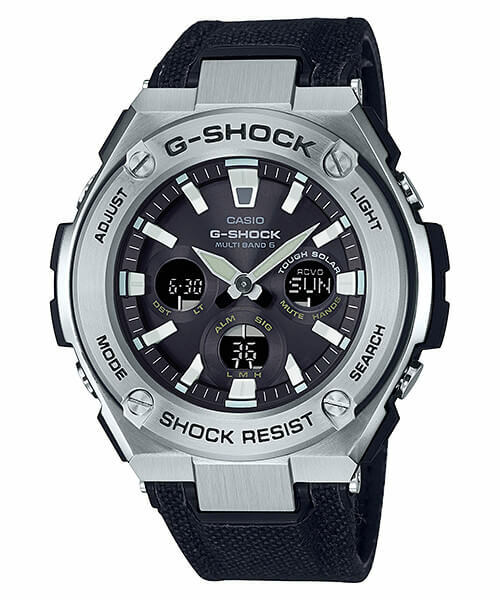 The GST-W130C-1AJF has a silver stainless steel body and a stainless steel bezel. It also has a black hybrid Tough Leather/Cordura band. 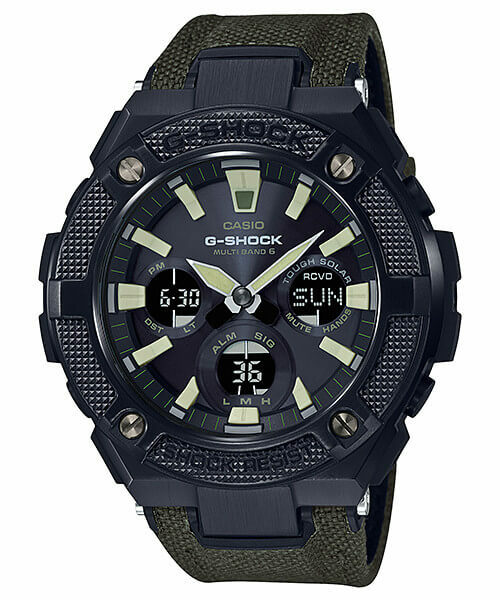 This model will also be available in the smaller mid-size GST-W330C-1AJF version. List price is ¥41,000 JPY each.